So I am back for a brief little post on one of my favourite experiences to date in Paris. On June 21st, I went to the Fete de la Musique in Paris. 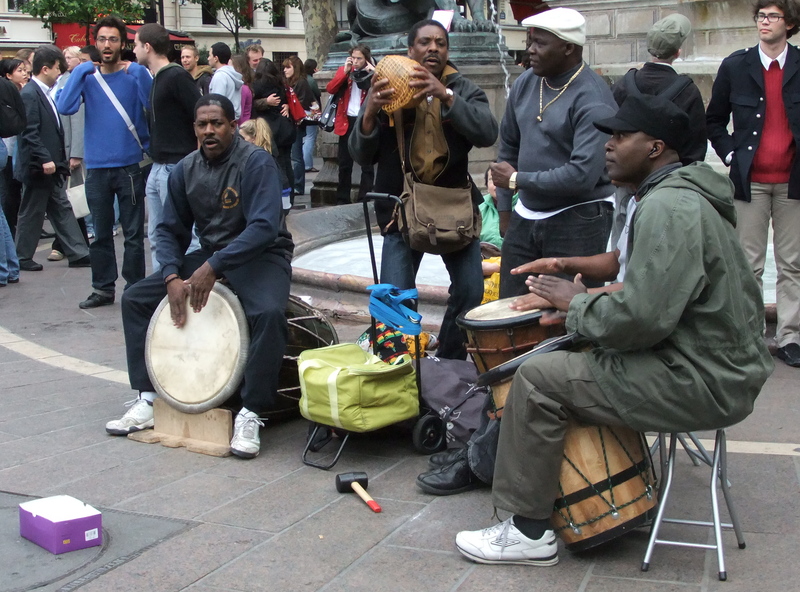 It is basically an evening where artists and bands can perform freely in the streets and anyone can come and watch, dance, drink and be merry. 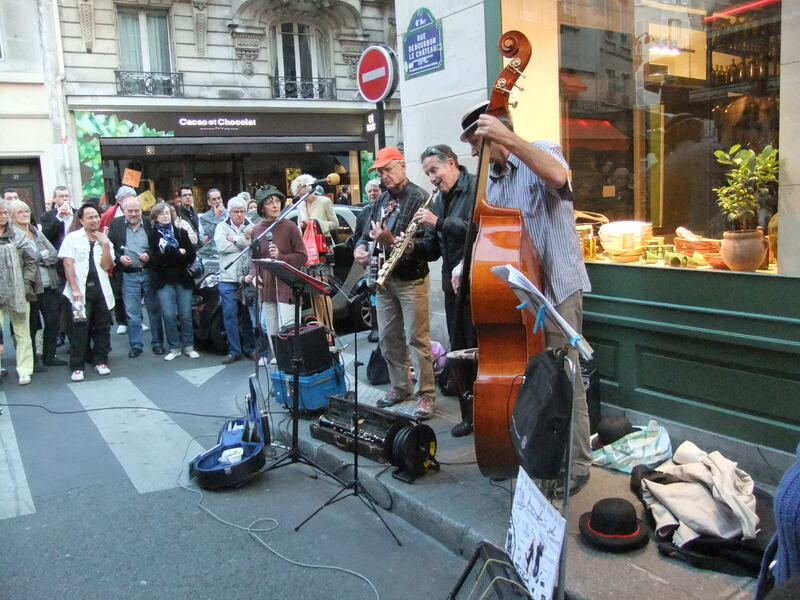 We started the evening with a crepes for dinner at a popular crepe restaurant (Creperie St Germain), washed it down with a good cider and then headed out into the streets to enjoy the music. Granted there were a couple of bands that probably should have stayed home, we applauded them anyways for coming out and making the effort to contribute to this fantastic event. I took a couple of videos and photos to share with you, so enjoy! 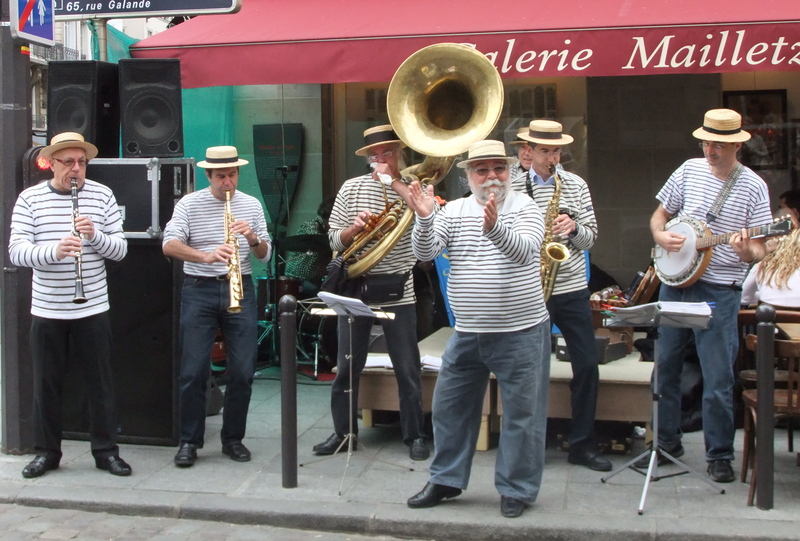 A great little street band, who acquired a street trumpet player as they played. 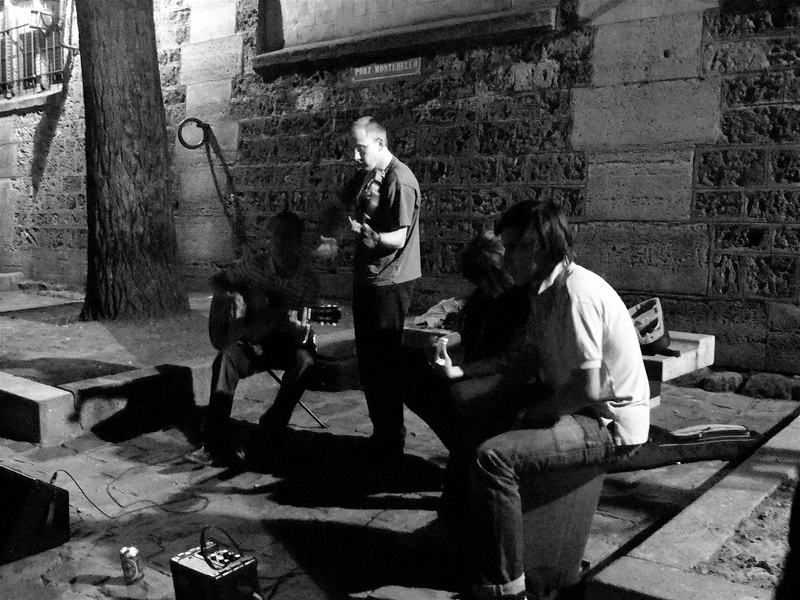 The last song played by a little group along the bank of the Seine River. If you like what you see then continue down and see a couple of videos that I took of all the delightful music and festivities. Thanks for checking in everyone! I 'll be back soon with my tales of Parc Asterix and hopefully some photos if I can convince Thibaut to upload them. So cool! What a great street party! amazing! i hope you put your camera down and danced up a storm too!!! what was the second band singing? I most definately did put my camera down and dance. We danced so much that we stopped cars in the street while the music was playing and once it was over we ushered the cars through giving high fives to the drivers. Twas epic.